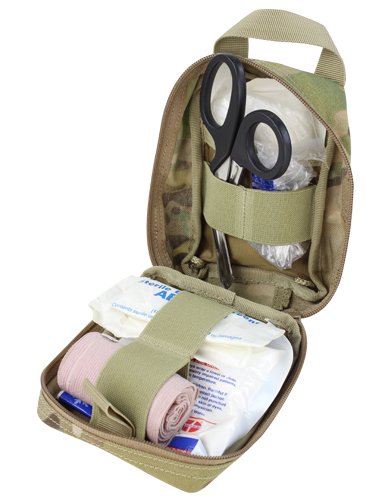 The EMT Lite has a compact design and is great to hold a complete first aid kit for a single person. 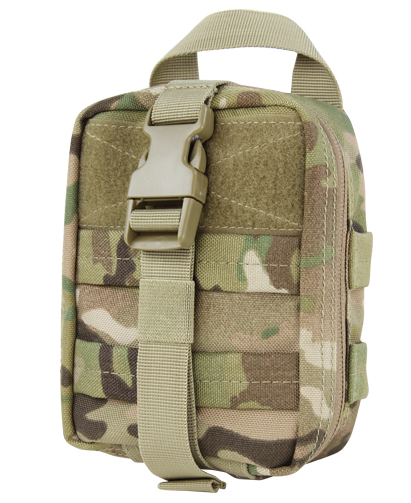 The outside webbing can hold additional MOLLE Attachments or chem-lights. It features a grab handle for quick tear-away transfers or load out switching, as well as a quick access pull tongue to open the pouch. Comes in black, red, olive drab, military, coyote brown and tan. Very good quality product. I especially like the rip off feature.